The lineage seems clear to me, Herr Sinn reverse engineered the Orfina / PD case to make it his own, merely adding the pump pushers. I can say for certain that it is not the same case, externally sourced from the same supplier. It is distinctly different, but derived from the original. I have just tried to fit one of these chapter rings to a PD, and althrough similar, it does not fit and parts are not interchangeable. It is one of a long line of derivative designs that Sinn started. The 156 from the Heuer Bund. 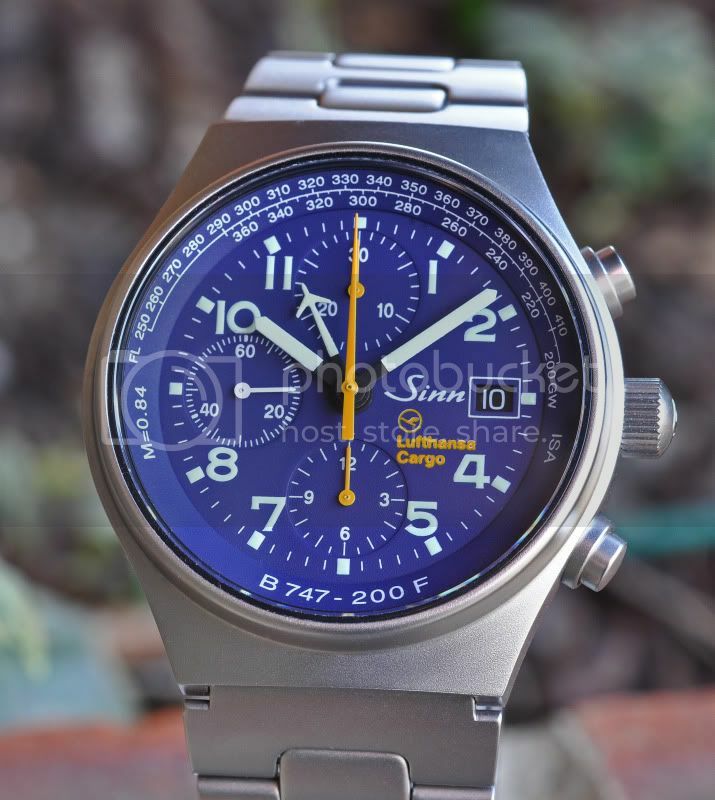 The 157 from the Arctos/Tengler Bunds or Heuer AMI. The 103 Chrono case borrows heavily from early Autavias. And so on. So for my money, no real connection other than the sincerest form of flattery, copying. Last edited by DaveS; 19-05-2010 at 15:48.